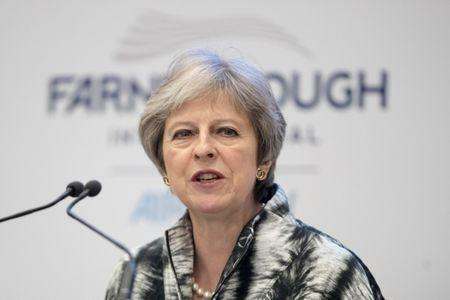 LONDON (Reuters) - Pro-European Union rebels were threatened with a general election this summer if they defeated Prime Minister Theresa May's Brexit plans on customs, a lawmaker said on Wednesday, threatening to widen rifts in the PM's party. "It was an appalling spectacle," Soubry told BBC Radio 4, adding she had told a senior whip to "bring it on". "These nonsenses of threatening general elections, and votes of confidence in the prime minister ... bring it on, because I shall be the first in the queue to give my vote of full confidence in the prime minister," Soubry said. "Problem is, I don't think she's in charge any more." May narrowly avoided a defeat in parliament at the hands of the pro-EU lawmakers from her own party in Tuesday's vote, helped by four opposition Labour lawmakers who went against their party to support the government. Turmoil over Brexit plans has hit the pound.